Well, there are political roasts, and roast chicken, and roasted peppers. And coffee! I do love my coffee – thus, my tribute to “roasted” for Inktober #3! I must say, I have not expected to see where this Inktober challenge led me. 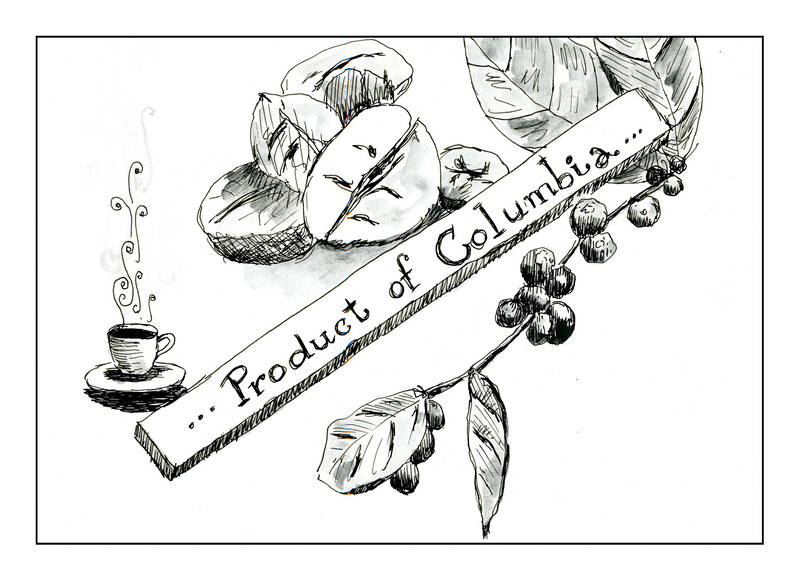 I thought something really simple, like some roasted bell peppers, but instead, I started thinking of integrating one sketch (coffee beans) with another (coffee plant) and then a coffee cup, and finally, a tribute to Columbian coffee, which is really misspelled and should be “Colombian.” Oh, well. This is done with pen-and-ink along with water-soluble graphite. Instead of just sketching in the morning, like a flower or something, I thought about just painting things. The most prominent and important thing on my desk at 6 a.m. is my coffee cup! This is one of my favorites, too, even though it is quite chipped and so on. I’ll keep it until it dies. 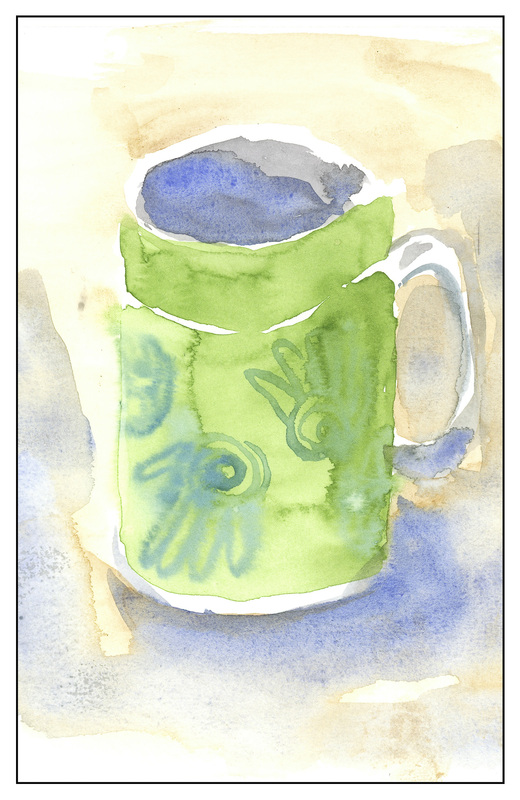 Now it is immortalized in a “direct watercolor” – no lines – and in a rather disproportionate manner, but here you go.